Now that my new romance is out (The Kitchen When It Sizzles on Amazon and Smashwords, shameless plugging, yo! ), I can return to regular food blogging duties. Let me start by introducing you to this little chicken restaurant that has caught our fancy for late night spicy fried chicken: Cocohut Fried Chicken and Fish. 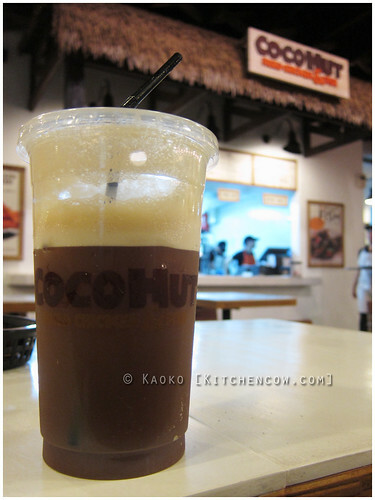 A small backstory on why I love Cocohut. Back when Yellow Cab Pizza was still owned by its original owners, my mom and I used to frequent the place not just for pizza. Our standard order was the spicy chicken wings and the twice baked potato skins. Sometimes, Dear Darla was involved, but a lot of times, these two were more than adequate to appease our cravings. Many dinners were spent nomming on the bed with takeout chicken and potato skins. Sadly, it wasn’t quite the same after the buyout, so we were sadly bereft of one of our bonding pigouts. The spicy chicken wings remained missed until a blogger friend mentioned that the shiny new restaurant along Commerce Avenue is a sibling company to Army Navy, and owned by one of Yellow Cab’s founders. That, plus the fact that the dishes were reportedly affordable, was enough of a reason to check the place out. We happily visited the place for chicken and fish, but the first thing that greeted me was a gigantor photograph of their Spicy Cocohut Chicken. It felt like a long-lost friend saying hi. Needless to say, I got the Hut Chicken, then immediately bonded with this newish restaurant on the block. Cocohut specializes in fried chicken and fried fish with a decidedly tropical feel. Coconut-laced items are all over the menu, with vegetable dishes like Laing, Bamboo Shoots, and Coco Langka served side by side with Kani Cake and Calamari. 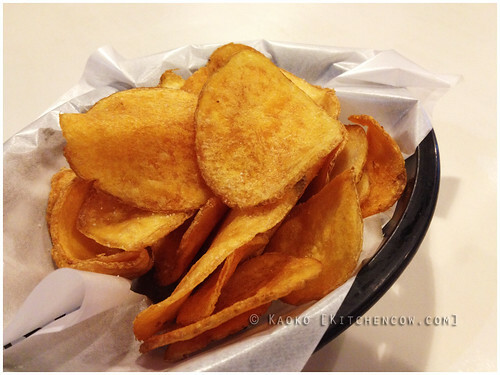 There is a disjoint in seeing typical Pinoy veggie dishes in a brightly-lit fastfood joint like this, but it works. They have fish dishes, like the butterflied fried Tilapia and the fancified pritong Galunggong, but it was really the chicken that stole the show for me. 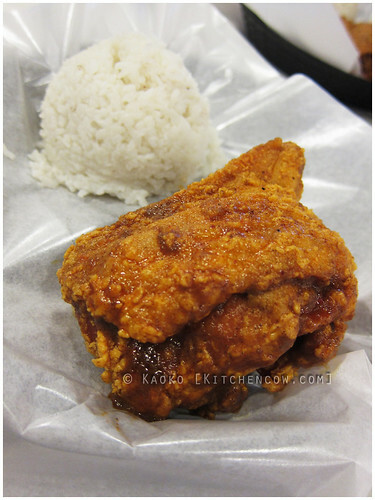 Cocohut offers two kinds of fried chicken. The Classic Chicken is a crisp breaded fried chicken that can give Jollibee’s Chickenjoy a run for its happy chicken money. It’s served with a peppered gravy that has just enough zing without being spicy. Or perhaps it was; I wasn’t really paying attention, mostly because I was too busy enjoying every bite of my Hut Chicken. The Hut Chicken is the Yellow Cab spicy chicken from my memories. The crisp chicken, every bit as juicy as the classic, comes coated in a spicy and buttery sauce that fights for supremacy in your mouth. It doesn’t come with a separate sauce. The coating is it. Sure, they provide a variety of sauces by the counter (sweet chili, something soy, and more) but really, it was perfection as it was. And it’s mostly the reason why I haven’t tried anything else on the menu, other than picking off the plates of people I eat with. Because the Hut Chicken is just so damned good. 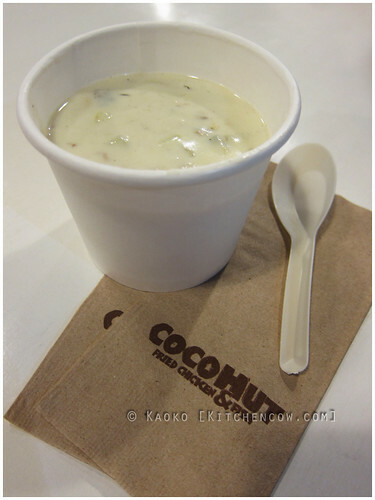 I could be mistaken, but even the Clam Chowder seemed to be laced with coconut cream. Cocohut’s chicken is sold by part. You can choose from breast, thigh, drumstick, and wing. Prices vary depending on the part, with the breast being the priciest and the wing being cheapest. The wing, drumstick, and thigh, served with a cup of rice, are priced at under a hundred pesos so you know it’s a good deal. Be prepared to wait for your food, roughly fifteen minutes or so, because the food is cooked as you order. While a grumbly tummy might argue, it’s all for the best. How often do you bite into a steaming hot piece of chicken brimming with juices at a fastfood place? Cocohut currently has one branch but with food this good, I wouldn’t be surprised if it starts mushrooming around town. Don’t wait for it to happen though. If you’re in the area, give it a shot. Because really, the chicken. 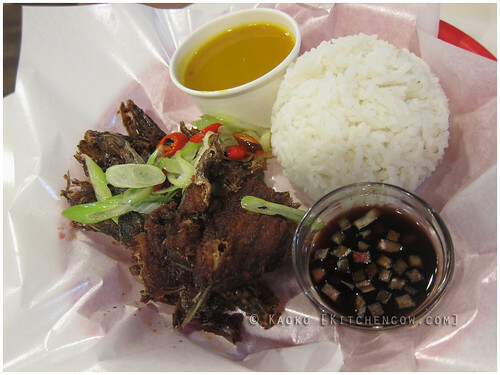 Cocohut Fried Chicken and Fish is located at the Commercenter Building, Commerce Avenue, Alabang. It’s beside Army Navy and across Acacia Hotel. Congrats on your romance! Clam chowder with coconut cream sounds great to me – kind of a hybrid between the New England classic and ginataan. Thanks for that inspiration, btw – I’m really into Western-Filipino hybrid recipes so I think I’ll test it out and write about it if it comes out right. Looking forward to that, capizena! It would be great to be able to cook it at home. I love spicy chicken wings *and* I love coconut milk! I hope these guys open in Makati soon!! They’re expanding soon! I think 3 new branches? I remember UP Ayala Technohub and BGC, not sure about the third one.